A few months ago, I met with a new colleague of mine who does brilliant research on perception. Hearing about my interest in culture, she admitted that she never looked at culture or gender in her research because she studies basic perceptual processes that are not supposed to differ across human groups. I told her about the many exciting findings on perception in cross-cultural research, and that we found cultural differences in the very perceptual phenomenon she studies. She was stunned and intrigued, and we had a wonderful and exciting conversation. A few days later, I received an email from her: She was submitting an amendment to our institutional review board to collect information about participants’ ethnicity and gender in her studies. Two months later, I heard from her again: She asked me if I’d be interested in collaborating on a project to examine the influence of culture on perception and memory. We subsequently submitted a grant application together. My colleague is one of many researchers who are curious about culture and who face an increasingly diverse world around them, meaning they can expect to work with increasingly diverse participant pools. For those researchers, the important question is how to incorporate culture into their research so that they are not continuing to ignore the cultural backgrounds of their participants. Twenty years of cultural research that my colleagues and I have done on the development of social cognition, including autobiographical memory, future thinking, the self, and emotion knowledge, illustrate how cultural psychological science can provide unique insights into psychological processes and further equip researchers with additional tools to understand human behavior. There are five assumptions that often distract or discourage researchers from integrating cultural factors into their work, and I aim here to deconstruct them. This understanding of what cultural psychological science can do is far from being complete. In our research, my colleagues and I have learned how culturally prioritized self-goals guide autobiographical memory. Autonomous self-goals, prioritized in Western, particularly European American, cultures, motivate individuals to focus on and remember idiosyncratic details and subjective experiences that accentuate the individual. In contrast, relational self-goals like those prioritized in East Asian cultures motivate individuals to attend to and remember information about collective activities and significant others. By experimentally manipulating self-goals of autonomy and relatedness, we are able to make European Americans recall socially oriented memories as East Asians usually do, and make East Asians recall self-focused memories as European Americans usually do. In a study I conducted with APS Fellow Michael A. Ross, University of Waterloo, Canada, we asked European American and Asian college students to describe themselves as either unique individuals (i.e., autonomous-self prime) or as members of social groups (i.e., relational-self prime). We then asked them to recall their earliest childhood memories. In both cultural groups, those whose autonomous self-goals were activated prior to the recall reported more self-focused memories, whereas those whose relational self-goals were made salient recalled more socially oriented memories. As this line of work illustrates, cultural psychological science is about not just what differences exist between cultures, but, more importantly, why and how those differences exist. For people with this assumption, a cross-cultural psychological study that finds no cultural differences is considered a failure. But group similarities often tell us that a psychological construct or process may be closely tied to biological constraints or shared cultural experiences. Our research on the development of future thinking is an example. Children’s ability to travel mentally in time to anticipate future happenings develops rapidly over the preschool years and beyond, although children still rely on general knowledge to think about the future. There are also cultural influences: European American family practices encourage children to dwell on and articulate details of their personal experiences and plans, which directly facilitates their ability to represent event-specific details. In contrast, Chinese parents, when discussing personal experiences with their young children, tend not to focus on individual details of the event but rather to emphasize general rules and expectations. In line with the differing practices, we have observed that European American children often produce more specific details than do Chinese children when recalling past experiences. Given the intimate connection between remembering the past and imagining the future, this cultural difference should be paralleled in children’s representations of future events. My colleagues and I asked 7- to 10-year-old children and college students from European American and Chinese cultural backgrounds to imagine and describe future personal events that would occur at a particular time and place. We then coded the protocols using a standard scoring procedure that distinguishes between specific details (e.g., actions, people, and locations) and general references (e.g., facts and metacognition). We found that children of the two cultures relied similarly on general references relative to specific details in their event representations, yet they did so to a greater extent than did adults. However, European American children and adults generated more specific details than did Chinese children and adults in their representations of future events. These cultural similarities and differences together suggest that the development of future thinking reflects the interaction between cognitive neurological growth and sociocultural influences, a process contributing to both universality and cultural diversity. Making informed hypotheses about cultural similarities will help researchers make decisions about research design, sample selection, and statistical strategies for effective testing for equivalence and subsequently help them obtain interpretable findings. Cultural similarities may suggest universality in the underlying biological cognitive mechanisms on the one hand, and shared human conditions and life circumstances on the other. Yes, research in cultural psychology often involves comparing groups or cultures, but it by no means downplays the importance of individual differences. On the contrary, examining individual differences is not only important but often necessary to uncover the factors that account for the observed cultural differences. Our research on emotion knowledge and the development of autobiographical memory can serve as an example. One important component of emotional cognition concerns the semantic knowledge of emotionally salient events or situations, including happy events such as holidays and birthday parties and sad occurrences such as the loss of a loved one. This component is often referred to as emotion situation knowledge or emotion knowledge. Our research suggests that the great emphasis on raising “emotionally intelligent” children in European American culture directly facilitates children’s developing emotion knowledge. Chinese culture, in contrast, places far greater emphasis on external behavior than on inner psychological states. Consequently, when asked to judge the emotional nature of story situations or to describe situations likely to provoke various emotions, European American preschoolers outperform their Chinese peers regardless of age, and they make more rapid progress in emotion knowledge over time. Paralleling this cultural difference in emotion knowledge, our studies have consistently shown that when asked to recount autobiographical events (e.g., one thing the child did recently that was special and fun), European American preschoolers often recall more specific episodes (e.g., “getting a new toy”) as well as more specific details from those episodes. Chinese children, on the other hand, tend to report more general routine events (e.g., “playing with a toy every day”) and fewer event-specific details. Thus, there appears to be a connection between emotion knowledge and autobiographical memory at the group level. In a longitudinal study, my colleagues and I confirmed that, at the group level, European American children showed overall greater understanding of emotion situations and also recalled more detailed autobiographical memories than did mainland Chinese and Chinese American children across the preschool years. More importantly, at the individual level, children who exhibited greater emotion knowledge early on recalled memories with more specific details both concurrently and longitudinally, regardless of culture. Furthermore, emotion knowledge functioned as a potent mediator that accounted for cultural differences in memory recall. Thus, by following up on our initial group-level analysis, we were able to identify an individual-level mechanism responsible for early memory development. Had we neglected the parallel cultural differences in emotion knowledge and autobiographical memory in the first place, we might not have considered emotion knowledge to be a candidate mechanism for autobiographical memory and might not have made the subsequent investigation. Situational factors also can influence the impact of culture within an individual. For instance, when Asian American college students thought of themselves as being American, they recalled more self-focused memories, whereas when they thought of themselves as being Asian, they recalled more socially oriented memories. Similarly, when bilingual Hong Kong Chinese children spoke in Chinese, they endorsed more strongly interdependent values, exhibited greater relational self-goals, and recalled more socially oriented memories than they did when speaking in English. These within-group and within-individual processes highlight psychological functioning as a joint product of the individual and the cultural agenda of the community. Many “basic” psychological processes and constructs for which culture is typically assumed to be irrelevant, such as neuronal functioning, sensation, visual illusions, face processing, and color perception, have been shown to be sensitive to cultural influences. Even simple taste preferences are subject to local community practices rather than being part of human genetic composition as commonly assumed. Whereas Indian medical students show the same pattern of preferences as Westerners do, favoring sweetness and finding concentrated sourness and bitterness to be unpleasant, Indian laborers from the Karnataka region have high preferences for sour and bitter tastes. 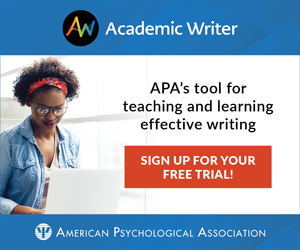 One of the most important findings in perceptual psychology, as relevant to autobiographical memory, is the phenomenon of event segmentation, an automatic perceptual process that separates “what is happening now” from “what just happened.” APS Fellow Jeffrey M. Zacks, cognitive psychologist Khena M. Swallow, and colleagues have conducted extensive research on this phenomenon. Data from their behavioral and neuroimaging studies have shown that when presented with a continuous stream of information, people spontaneously segment the information into discrete meaningful events. These event segments subsequently form the units of encoding and determine what people remember. Event segmentation is therefore a naturally occurring human perceptual mechanism that makes memory for everyday events possible, and has been generally assumed (albeit implicitly) to be insusceptible to cultural influences. Yet findings from cultural psychology have suggested otherwise. APS William James Fellow Richard E. Nisbett and colleagues have shown that Asians often engage in holistic perceptual processing, attending to relationships and similarities among diverse objects and events, whereas Westerners tend to engage in analytic perceptual processing, focusing on salient features of individual objects and events. These distinctive perceptual styles reflect cultural differences in the basic allocation of attention during stimulus processing. They are further supported by the characteristics (e.g., complexity, ambiguity) of the physical environments in respective cultures and are sustained by neural mechanisms. Conceivably, the holistic processing of information in Asians may lead them to view different objects and events as interrelated. As a result, they may perceive fewer discrete episodes in a continuous flux of information and thus segment the information into a smaller number of meaningful units. In comparison, European Americans, attending to salient properties of individual objects and events, may analytically segment the information into a greater number of units. This is indeed what we found. In one study, Asian and European American college students were presented with a narrative text and were asked to segment the text into discrete events by indicating wherever, in their judgment, one meaningful event ended and another event began. As expected, Asians parsed the text into a smaller number of units than did European Americans. Furthermore, the cultural difference in event segmentation had direct consequences for memory, whereby at an immediate memory test following the reading, Asians recalled fewer event episodes from the text than did European Americans. These findings are significant because they suggest that event segmentation is not a mere product of neural reactions to the perceptual environment but is shaped by cultural experiences deeply embedded in the environment. One of the major contributions of cultural psychological science is to allow researchers to test their theories and hypotheses outside of their usual pool of participants — namely, those from WEIRD (Western, Educated, Industrialized, Rich, Democratic) societies. Needless to say, a participant pool that represents 16% of the world’s population and yet constitutes 96% of the samples in psychological research can hardly yield data and theories about human behavior without further verification. Thus, when developing and testing theories, researchers should consider including multiple cultural groups in their studies to examine the expected mechanism within each group and independent of culture. Yet there is more to it. Developmental research has consistently shown that middle-class Western children with higher levels of emotion knowledge are more socially competent and exhibit lower levels of internalizing problems. For people from interdependently oriented societies, however, norms, roles, and obligations are often more important determinants of behavior than one’s psychological states and emotions. In fact, advanced emotion knowledge in this cultural context may suggest an excessive focus on inner psychological states, which makes one at odds with cultural norms and expectations and may further result in social adjustment problems. We demonstrated this in two longitudinal studies of European American and Chinese immigrant children in the United States. In one study, we assessed children’s emotion knowledge at 3.5 years of age, using a task to elicit their understanding of situational antecedents of discrete emotions. Children’s mothers reported on the children’s internalizing problems (including anxiety, depression, and somatization) using the Behavior Assessment System for Children when their children were 7 years of age. After taking into account all group and individual variables (e.g., gender, verbal skills), we found that European American children who possessed advanced emotion knowledge at the preschool age tend to have fewer internalizing problems 3 years later. However, advanced emotion knowledge at preschool age was associated with increased internalizing problems later for Chinese immigrant children. This suggests that emotional intelligence is construed differently and therefore serves varied functions in different cultures. Cultural psychology research plays a critical role in not only the confirmation but also — equally if not more importantly — the modification and enrichment of existing theories. In an even more exciting situation, cultural psychology allows us to uncover mechanisms that are unique to non-Western populations — mechanisms that would be difficult, if not impossible, to detect in research with WEIRD samples. For example, studies involving middle-class Western families reveal that children’s references to mental states, through discussions with parents and their own independent narratives, demonstrate an advanced theory of mind. Yet we have observed in our own research samples that Chinese and Chinese American parents and children do not frequently talk about mental states and instead talk more about other people’s behaviors, actions, and roles. Given the importance of significant others and social relations in defining personhood in Chinese culture, would such talk about others — not necessarily regarding their mental states but simply referring to them — constitute a unique pathway for Chinese children’s development of theory of mind? If so, this practice would seem to be an adaptive strategy that facilitates children’s sociocognitive skills on the one hand and conforms to cultural expectations for reticence about subjective states on the other. I was part of a research team that set out to test this hypothesis. In one experiment, we used a training paradigm directly to examine whether attending to others facilitates the development of theory of mind in Chinese children. Across four sessions within a 2-week period, researchers read preschool children a story and then asked them questions about it. Children in the experimental group were asked questions that directed their attention to the characters and their actions. Children in the control group were asked about the physical features of the story, such as the setting and the colors of the objects in that setting. Children’s theory of mind was tested before and after the sessions with a battery of false-belief and deception tasks. We found that after merely 2 weeks’ training, children in the experimental group performed substantially better in the posttest than in the pretest, whereas children in the control group showed no improvement in their theory-of-mind performance. Training Chinese children to attend to story characters’ roles and behaviors thus facilitated the children’s theory of mind. This training procedure closely resembles the children’s everyday experience in a cultural context that emphasizes attending to others while devaluing explicit talk about inner thoughts and desires. Had we mindlessly committed ourselves to the common wisdom that talking about the mind facilitates the understanding of mind; had we not wondered how Chinese children develop theory of mind given their limited exposure to explicit discussion about internal states; had we not considered the cultural conditions that shape the form, content, and function of communication; and had we not worked with Chinese children and families in the first place, we would not have found that talking about others constitutes a mechanism for the development of theory of mind. In many ways, cultural psychology functions as a mirror that compels psychologists to reflect on their work and critically evaluate their theories and findings, to go beyond the surface and convenience to question what truly matters, and to embrace the complexity of human experiences with open minds and open hearts. Yet simply acknowledging the importance of culture and cultural psychology is not enough; neither is it enough to simply acknowledge the limitations of one’s findings due to a focus on WEIRD samples. 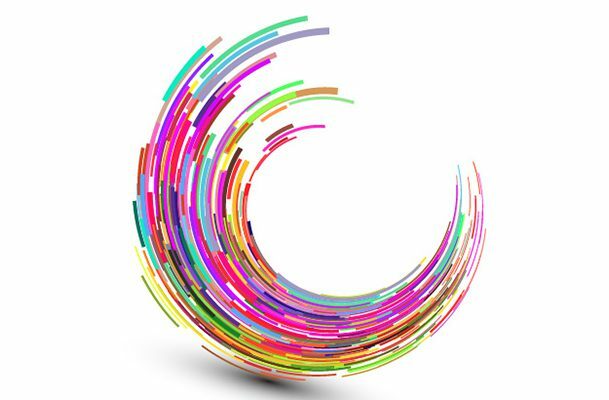 In our increasingly multicultural world, it is a pressing, necessary, and pragmatic task for us all actively to incorporate cultural psychology into our research programs. Chao, R. K. (1995). Chinese and European American cultural models of the self reflected in mothers’ childrearing beliefs. Ethos, 23, 328–354. Conway, M. A., & Pleydell-Pearce, C. W. (2000). The construction of autobiographical memories in the self-memory system. Psychological Review, 107, 261–288. Doan, S. N., & Wang, Q. (under review). Children’s emotion knowledge and adjustment: The moderating role of culture. Frijda, N. H. (1986). The emotions: Studies in emotion & social interaction. New York, NY: Cambridge University Press. Gelfand, M. J., & Diener, E. (Eds.). (2010). Culture and psychological science [Special section]. Perspectives on Psychological Science, 5, 390–493. Gottman, J. (1998). Raising an emotionally intelligent child: The heart of parenting. New York, NY: Fireside. Hard, B. M., Tversky, B., & Lang, D. S. (2006). Making sense of abstract events: Building event schemas. Memory & Cognition, 34, 1221–1235. Heine, S. J. (2016). Cultural psychology (3rd ed.). New York, NY: W.W. Norton. Kitayama, S., & Cohen, D. (Eds.). (2007). Handbook of cultural psychology. New York, NY: Guilford Press. Kitayama, S., Duffy, S., Kawamura, T., & Larsen, J. T. (2003). Perceiving an object and its context in different cultures: A cultural look at new look. Psychological Science, 14, 201–206. Kitayama, S., King, A., Yoon, C., Tompson, S., Huff, S., & Liberzon, I. (2014). The dopamine D4 receptor gene (DRD4) moderates cultural difference in independent versus interdependent social orientation. Psychological Science, 25, 1169–1177. Kurby, C. A., & Zacks, J. M. (2008). Segmentation in the perception and memory of events. Trends in Cognitive Sciences, 12, 72–79. Mascolo, M. E., & Li, J. (Eds.). (2004). Culture and developing selves: Beyond dichotomization. San Francisco, CA: Jossey-Bass. Moskowitz, H. W., Kumaraiah, V., Sharma, K. N., Jacobs, H. L., & Sharma, S. D. (1975). Cross-cultural differences in simple taste preferences. Science, 190, 1217–1218. Reynolds, C. R., & Kamphaus, R. W. (2002). The clinician’s guide to the Behavior Assessment System for Children (BASC). New York, NY: Guilford Press. Shweder, R. A., Goodnow, J., Hatano, G., LeVine, R. A., Markus, H., & Miller, P. (1998). The cultural psychology of development: One mind, many mentalities. In W. Damon (Series Ed.) & R. M. Lerner (Vol. Ed. ), Handbook of Child Psychology: Vol. 1. Theoretical models of human development (5th ed., pp. 865–937). New York, NY: Wiley & Sons. Wang, Q. (2006b). Developing emotion knowledge in cultural contexts. International Journal of Behavioral Development, 30(Suppl. 1), 8–12. Wang, Q. (2013). The autobiographical self in time and culture. New York, NY: Oxford University Press. Wang, Q., & Conway, M. A. (2006). Autobiographical memory, self, and culture. In L.-G. Nilsson & N. Ohta (Eds. ), Memory and society: Psychological perspectives (pp. 9–27). New York, NY: Psychology Press. Yang, Y., & Wang, Q. (2015). The relation of emotion knowledge to coping in European American and Chinese immigrant children. Journal of Child and Family Studies, 25, 452–463. Zacks, J. M., & Swallow, K. M. (2007). Event segmentation. Current Directions in Psychological Science, 16, 80–84. Qi Wang is a professor in the Department of Human Development at Cornell University. She can be reached via apsobserver@psychologicalscience.org. 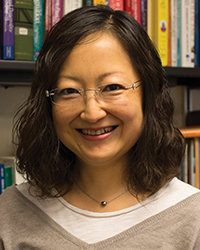 Wang is a co-chair of the 2017 ICPS Program Committee.